When Answer Code Request’s first EP suddenly hit the shelves of Berlin’s seminal record store Hard Wax in 2011, speculation across the web took up instantly. Was this another incarnation of affiliated Techno stalwarts, like Marcel Dettmann or Shed? A lot of people were very sure it had to be, even if further discussion seemed to agree that the music contained on this mysterious 12” would mean a bold redesign, as it was quite a different beast. Sure, there was the industrial punch, heavy groove and fierce determination associated with the Berghain sound and Ostgut Ton’s artists, but then again there were so many unfamiliar layers and signatures. It merged Berlin’s Techno heritage with Detroit melancholia, the heyday of UK’s “Artificial Intelligence” and the rhythmic innovations of the most current bass music, and ended up with a sound original and fresh. A musical concept that was so significantly different to what was already happening, that it was indicating the fact that this was not an established artist testing new grounds, but a new artist emerging to be that very new ground, and nothing less. As the identity of the enigmatic producer behind Answer Code Request was revealed to be Patrick Gräser, at least some of the buzz was on the right path. 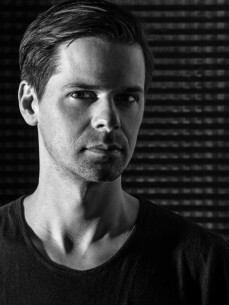 Before Answer Code Request became his project to be in 2010, he spent his youth in the same small hometown near Berlin as Marcel Dettmann and Marcel Fengler, sharing their experiences of hitting the big city as a teenager, in search of the records and clubs that formed the tradition in the 90’s, then taking up DJing and producing shortly after, and sticking with it, and being successful with it as well. If you listen to the music of Answer Code Request, be it on his astonishing records, as accordingly astonishing live act, or in the shape of his diversified and tremendously executed DJ sets, it all fits together. It seems it only took Answer Code Request a bit longer to enter the spotlight because he wanted it that way. He waited until everything was perfect and ready to go. And then it took him way shorter than almost everybody else to break through, and stay, just because of that. From first public appearance to internationally acclaimed artist, performer and Berghain resident DJ, it only took Answer Code Request a year. Enough said.